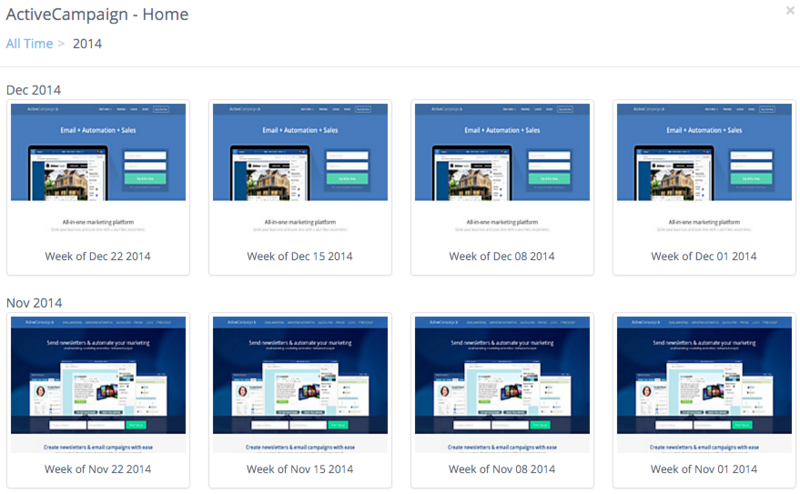 In this post, we share nine creative approaches to AB Testing your landing page. Tests that go beyond the basics to expand on what you’re already doing. They might even inspire you to come up with your own imaginative AB tests. There are a surprising number of AB tests smart marketers can run on their landing pages to ensure they’re getting the highest conversion rates possible. 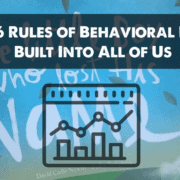 You already know you can experiment with different headlines, subheads, call to action text and colors, and you know to introduce design elements that draw the eye where you want visitors to look. This is an AB test you would apply at specific times, such as when you launch an advertising campaign. Your advertising campaign would be targeted to a specific audience, and your ad variations would use your generic landing page and your targeted landing page. 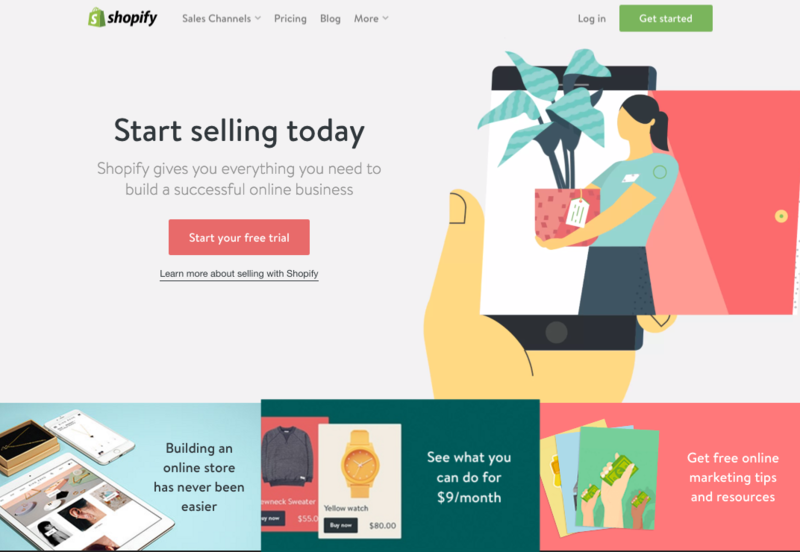 For example, if Shopify did an AB test between their generic vs. targeted landing pages in an advertising campaign, the control would apply to anyone looking for an eCommerce solution. For a variation, they could use their landing page targeted to booksellers. To maximize your conversions with this test, analyze your customer database to determine who your best customers are and create targeted landing pages focused on those specific groups of customers. 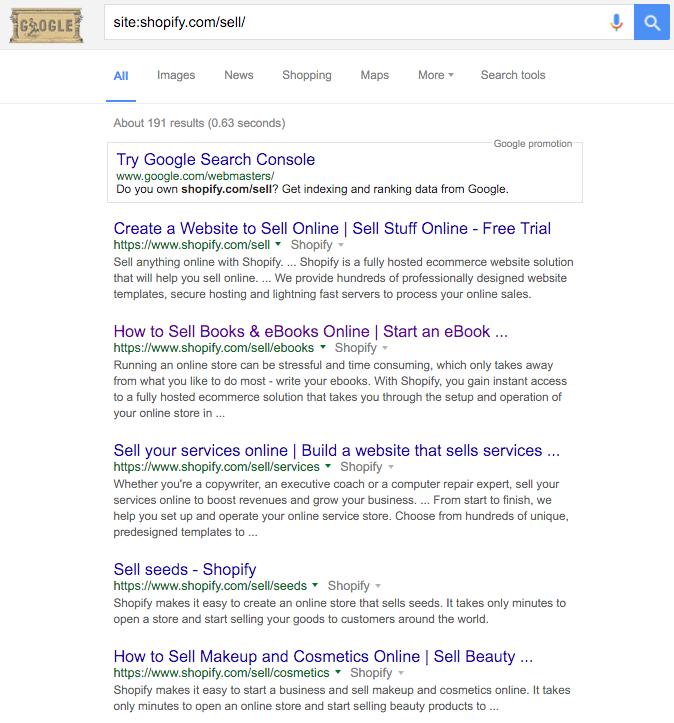 If you do a quick search of Shopify’s targeted landing pages on Google, you can see they have done this and created targeted landing pages for their top customer groups. You can use these as examples of how to create targeted landing pages for your top customer groups and demographics. 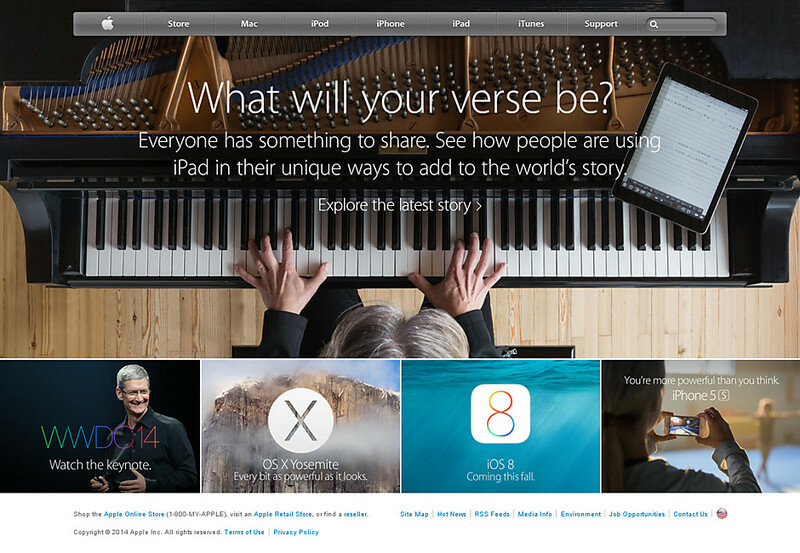 Headlines can make or break your landing page, as they are the first words that capture your visitor’s attention. It’s a simple AB test that can make a dramatic impact on conversions, and it can be done using most AB testing tools including Marketizator. 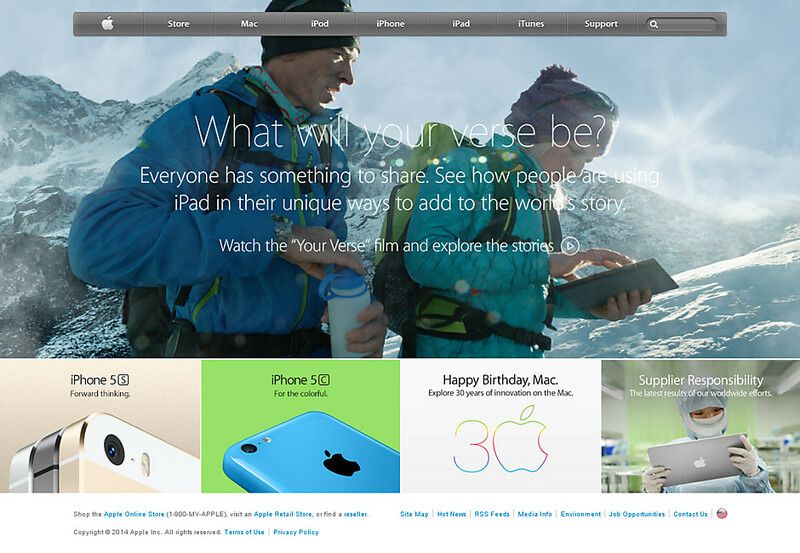 …to a better headline about the benefits their customers can expect when using their service. This change proved to be a winner, as they have kept it since 2015 with a constantly changing message about their benefits. 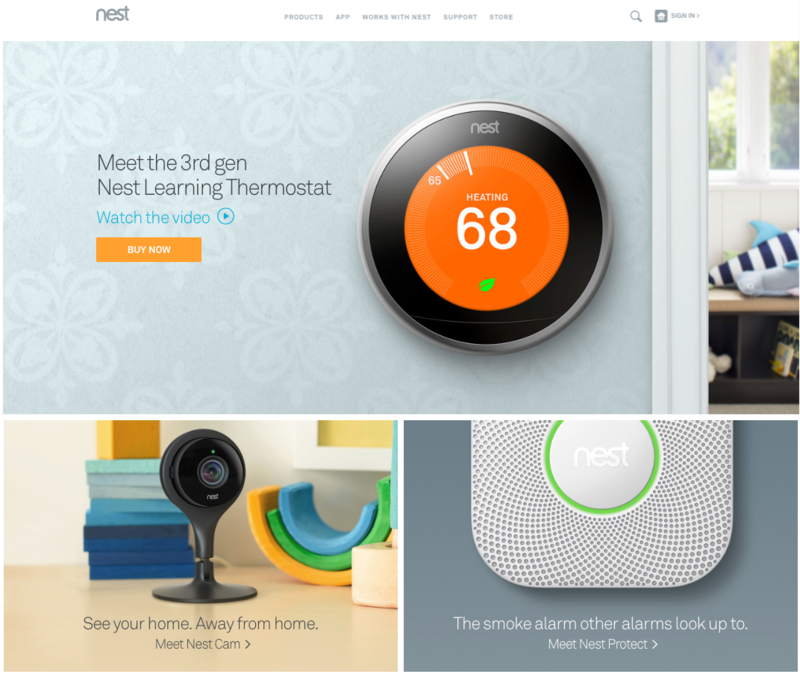 …with its popular thermostat controller. At the time of writing this article, this test was currently running (as noted by the ?alt=1 that appears at the end of their homepage URL on occasion), so we’ll have to see which one wins in the end. In some cases, you may want to change your featured product based on the one that is currently getting featured coverage in the media and whether that coverage is positive or negative. …and many other customer groups. The goal was to show how their products could aid in the telling of everyone’s story, no matter what you did or how much of an impact you made in the world. 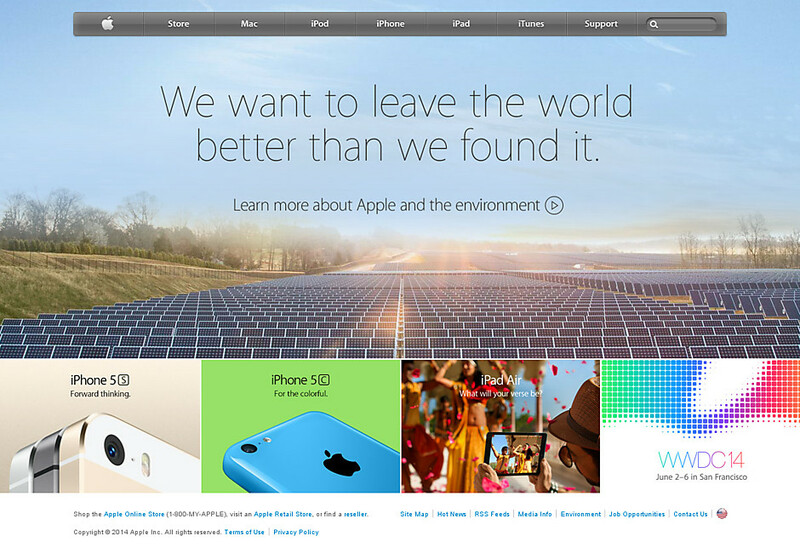 Apple ultimately went back to a homepage focused on its latest products, but without AB testing, Apple couldn’t just assume that approach would convert the highest. 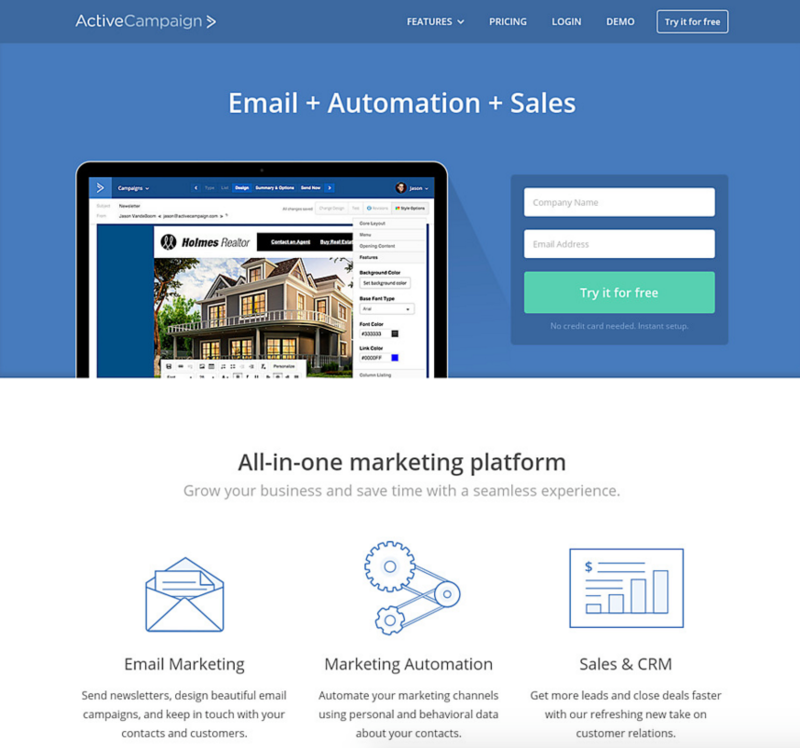 Landing pages have better conversion rates when there is one, clear call-to-action; sometimes that CTA is buying a product. 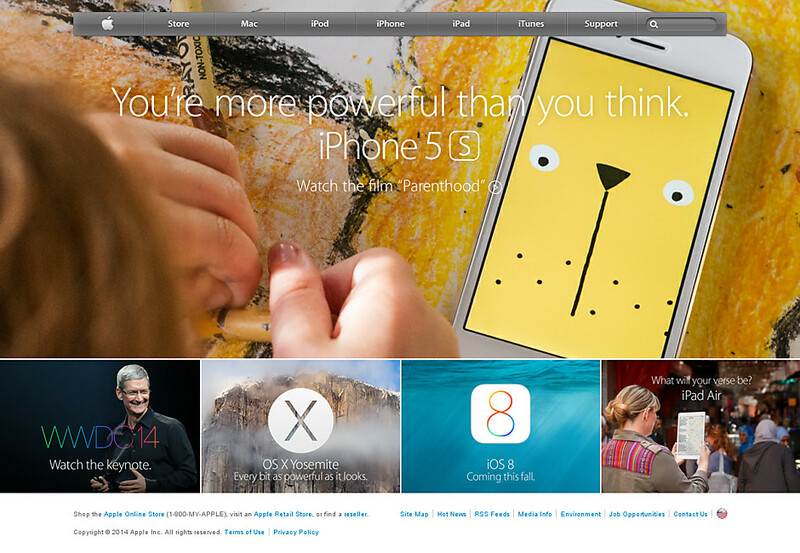 But when your top landing page is your homepage, you can’t focus on just one product, right? Maybe you can. 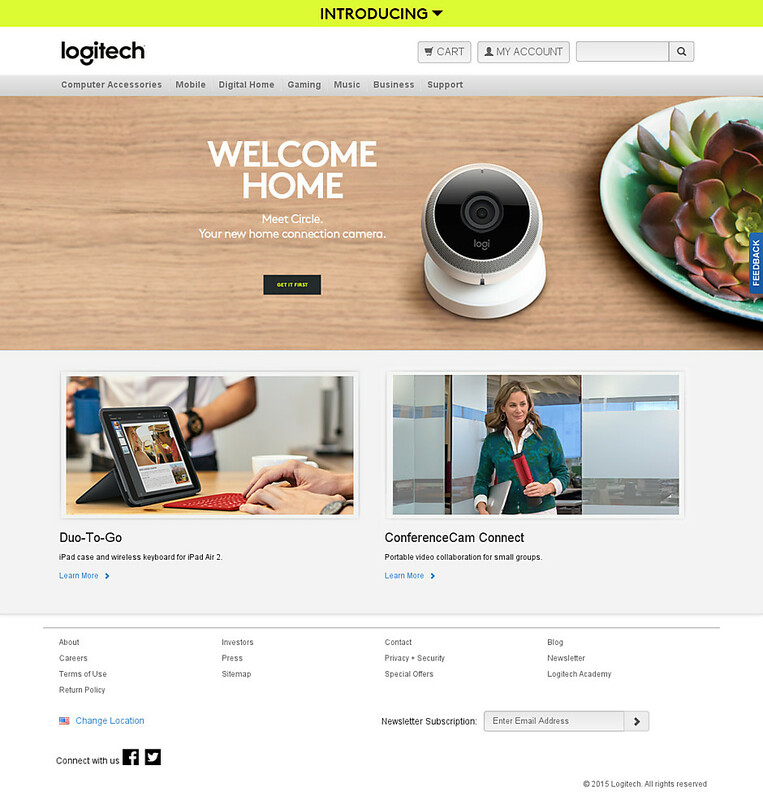 In the past, Logitech had a pretty standard homepage that offered up all of its products all at once to homepage visitors. 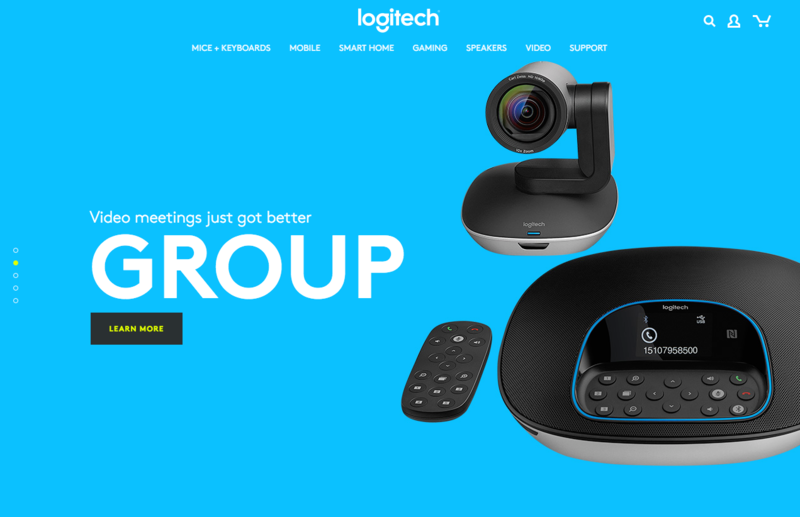 But now, Logitech gives visitors a tour through their top products, one at a time. 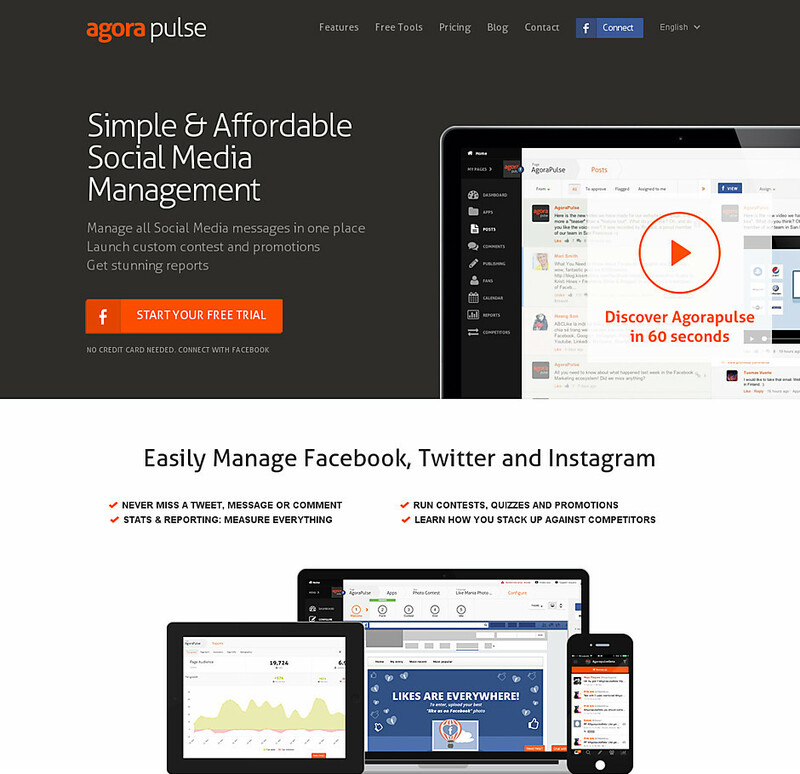 In a few moments, you are completely immersed in a particular product and its main benefit, thanks to this new landing page. It’s definitely a way of AB testing your landing page you will want to try if you have a few products you can highlight in this fashion. …to a video of how their newsletter designer worked. Instead of hoping that an image would convince visitors that their newsletter designer was easy to use, as the landing page claimed, the video was right there to prove it. 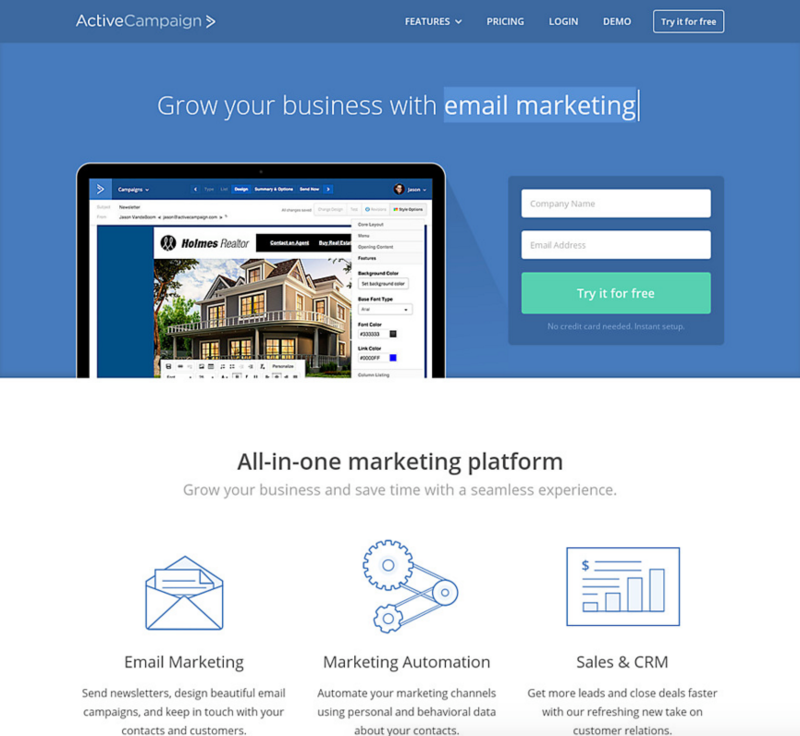 While their current landing page features a different, shorter animation, it still features one that demonstrates the ease of use of their newsletter designer, thus proving that since 2012, video and animation on the landing page beats a screenshot for conversions. Sometimes it’s not text or functionality that will make your site convert better, it’s simply imagery that matches the story of your value proposition. 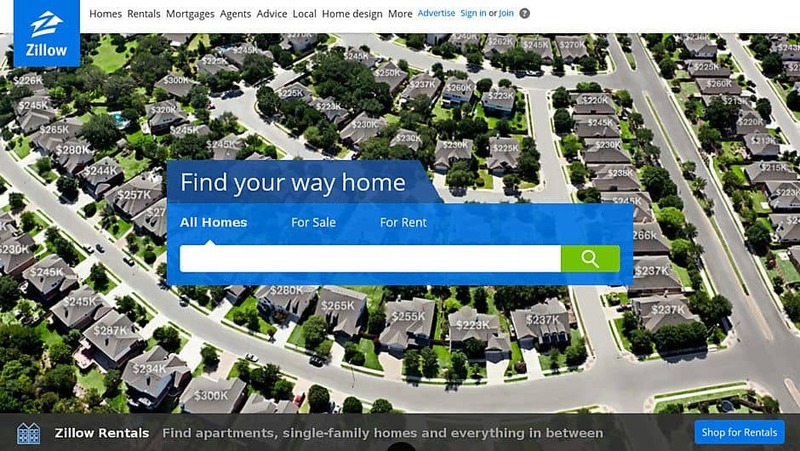 Zillow experimented with this idea by changing the background of its search. One variation was a neighborhood overview with home sale prices, which actually contradicts the line below the image about looking for rentals. Zillow’s background showing homes with their prices isn’t relevant to people looking for rental property, especially with a message at the bottom of the page specifically written for renters. Another variation used an image of a specific home, which could appeal to both for sale and for rent searchers. 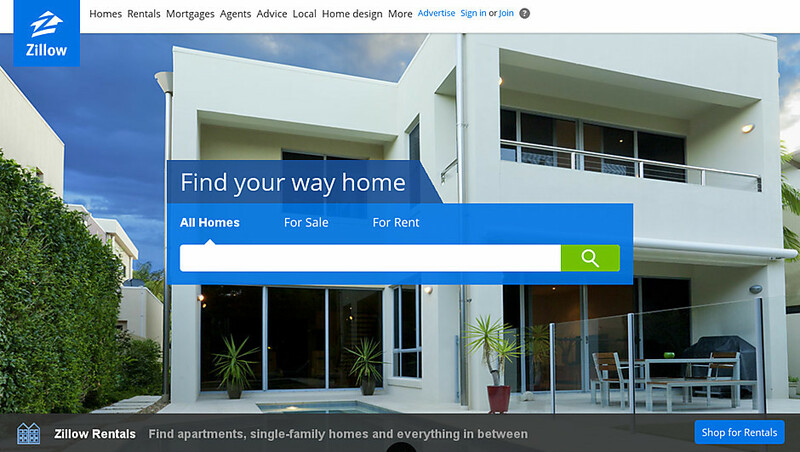 It seems that they have stuck with the individual home view as it works with what most searchers are looking for. It’s easy to see why the latter layout works. 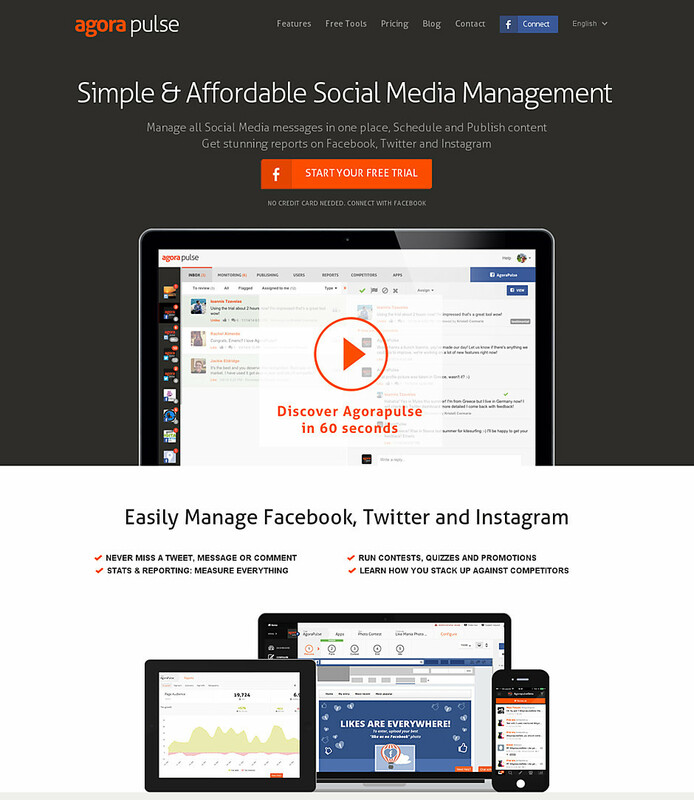 It flows right into starting your free trial after a simple and convincing headline and subhead. 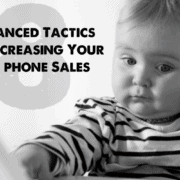 And for visitors still not convinced they should convert, there’s simple video and bullet points to convince them to click that call to action button. 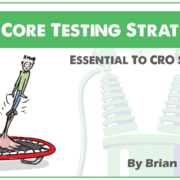 The most creative AB tests might be ones you don’t run on your own website. In addition to AB testing tools, there are tools that will alert you to when your competitors make changes to their websites, potentially based off of their own AB Testing landing page experiments. 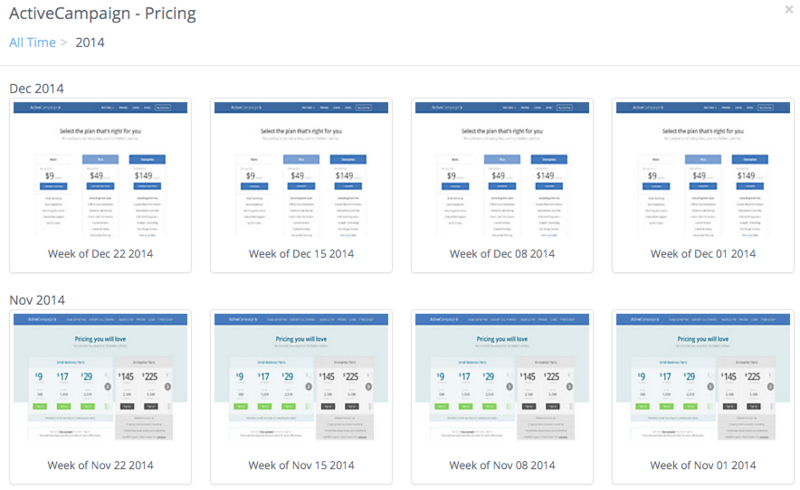 Rival IQ monitors your competitor’s website to see if changes have been made to it recently. The entry level plan allows you to track up to 15 companies. 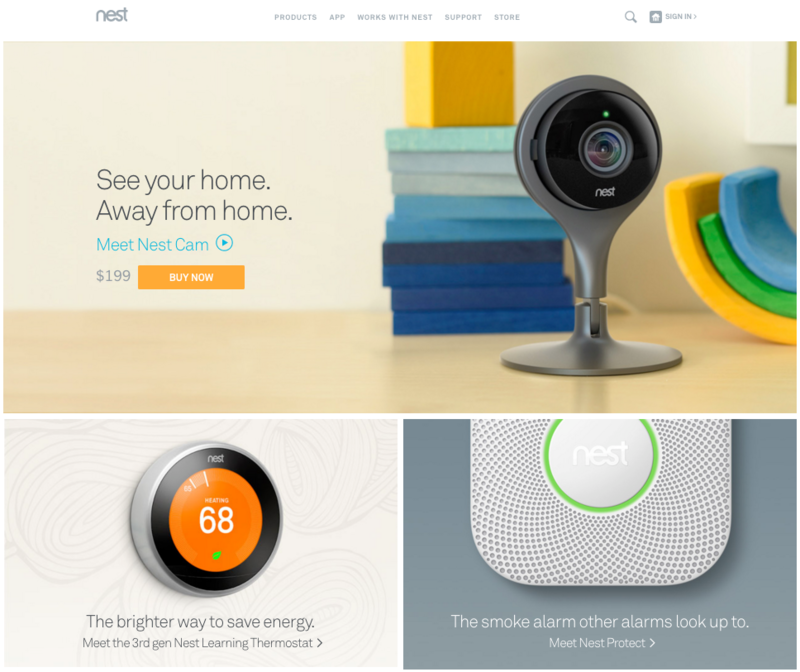 You’re able to track each company’s website design history along with their social media accounts, organic search rankings, and paid search traffic. 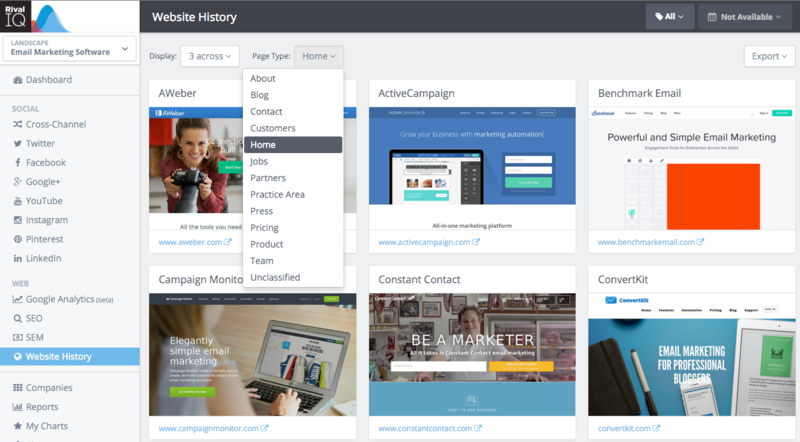 In the website history dashboard, you can view a variety of web pages from your competitor’s websites. Depending on how long the company has been in Rival IQ’s database, you can get a couple of year’s worth of design history from each company. 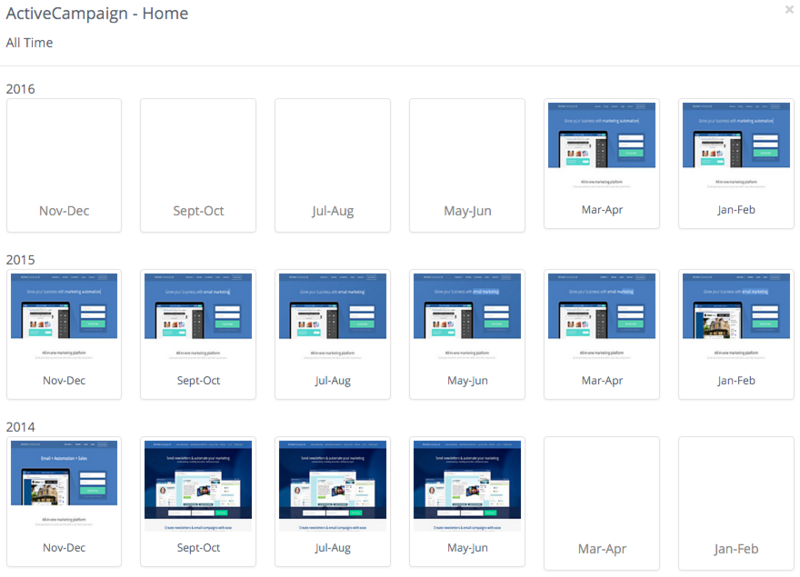 When you click on a particular month, you see the breakdown of when particular changes occurred as well as the ability to click upon a particular design to see the full landing page. This will give you an idea of what AB tests a competitor has run in the past and, based on the length of time a competitor has stuck with a particular design, will let you know which test was the presumed winner in terms of increasing their conversions for their homepage, pricing page, features page, or other significant pages. 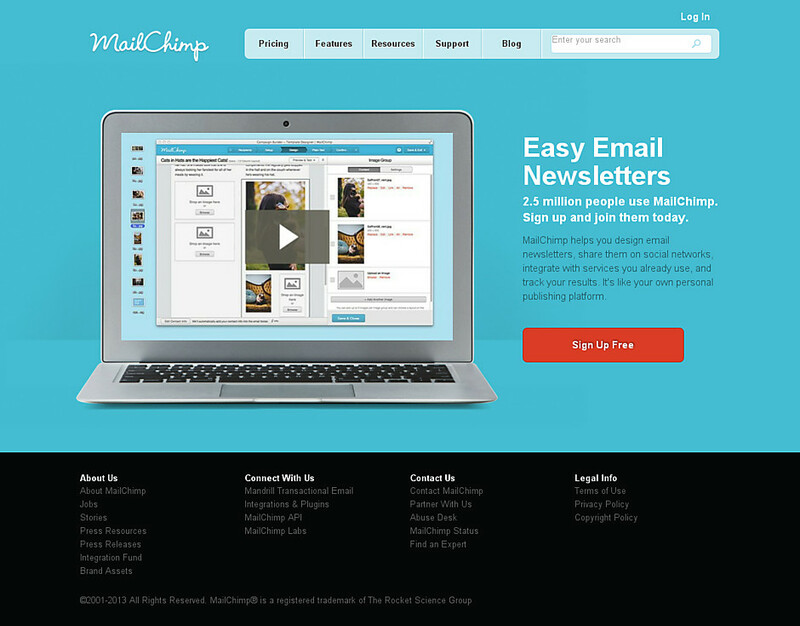 In addition, you can sign up for email alerts when your competitors make major changes to their website. This will let you know when your competitors have run new tests on their website and made changes based on their results. Or you may even see the tests themselves in action as the pages change from their original to alternative versions. 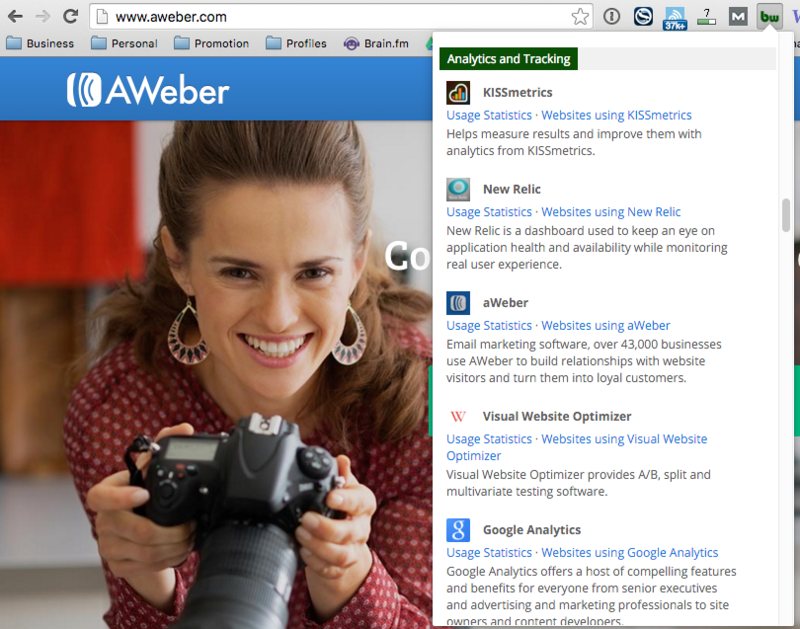 If you have a lot of competitors, and you’re not sure which to monitor, you can use the BuiltWith Google Chrome extension to find out if a particular competitor’s website is using AB testing software. Chances are, the ones that are will be the ones that will be making frequent changes. 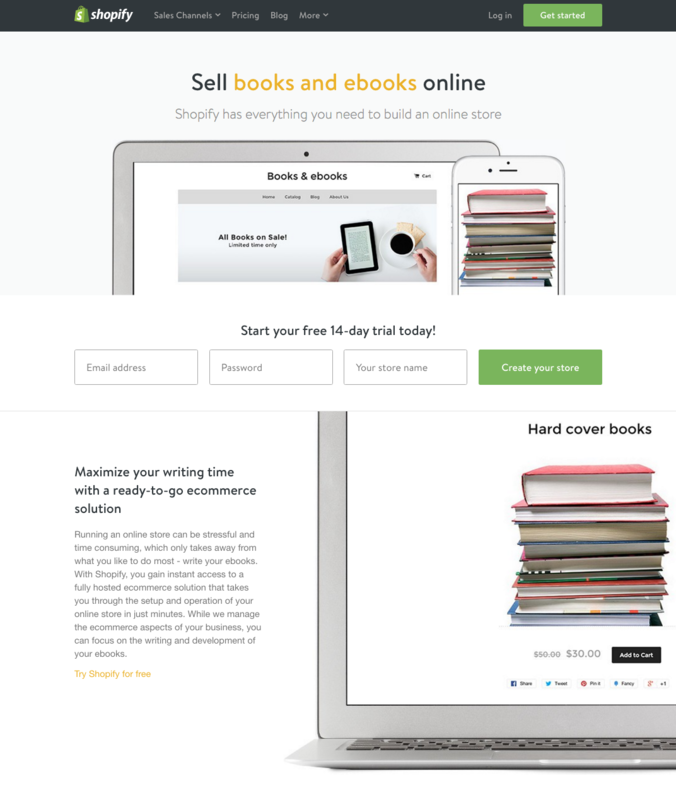 What are your imaginative approaches to AB testing your landing page? 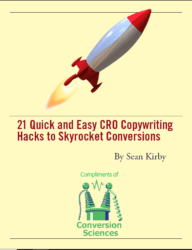 If you’ve already done the standard AB tests on your landing pages and found the best headlines, subheads, and call to action buttons, then we hope that these additional creative AB tests will further help you increase conversions on your website as it may have for the brands mentioned here. Have you been running or reading about some interesting AB tests? We’d love to hear about them in the comments. Feature image by Serge Saint via Compfight cc and adapted for this post.